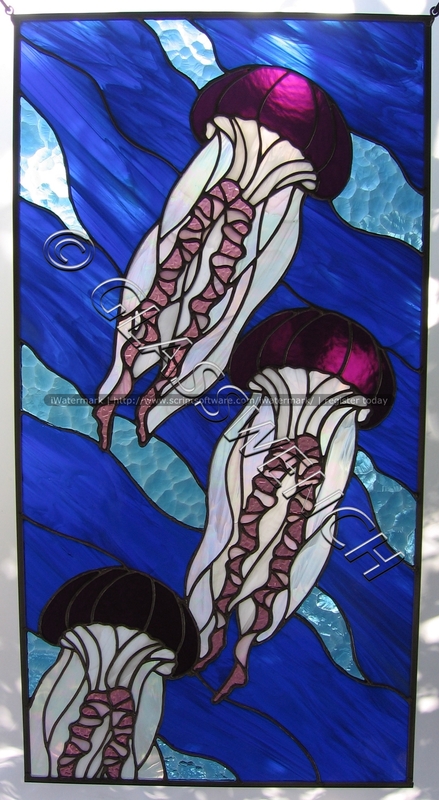 Latest jellyfish pieces. The first is a quickie gift for a friends mom. Very pleased with this design, especially the overlay on the cap. the method isn’t ideal, so next time, I am going to try drilling. yikes. should be interesting. quite happy with it though. 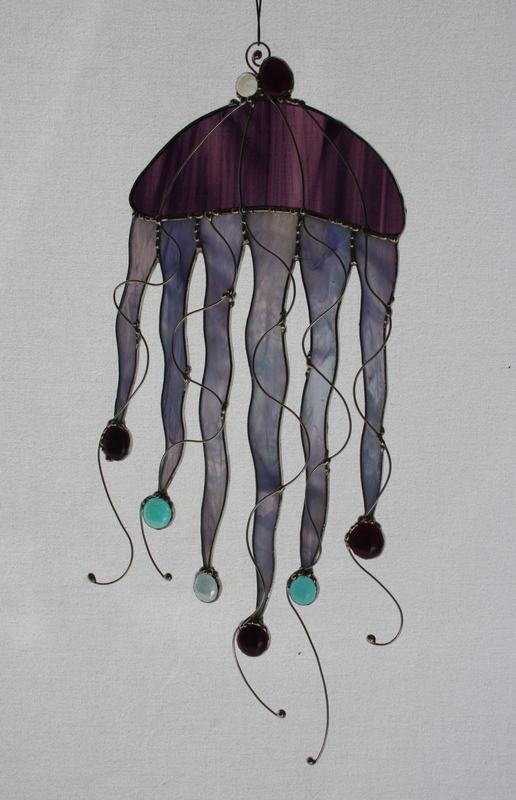 Jellies turned out quite well. This piece was intended for the November 4th Red Bluff ArtWalk. But the neighbor loved it, handed me cash, and so now it is sold. Initially, he was going to let me display it at the show, but they were robbed and then moved out 3 days later. Back to Oceanside. He says he travels up here twice a month, and will bring it back at the end of September. I hope that happens. but i am not going to count on it. Best to be prepared in case it doesn’t show. I would like to do another one, with a different color scheme. 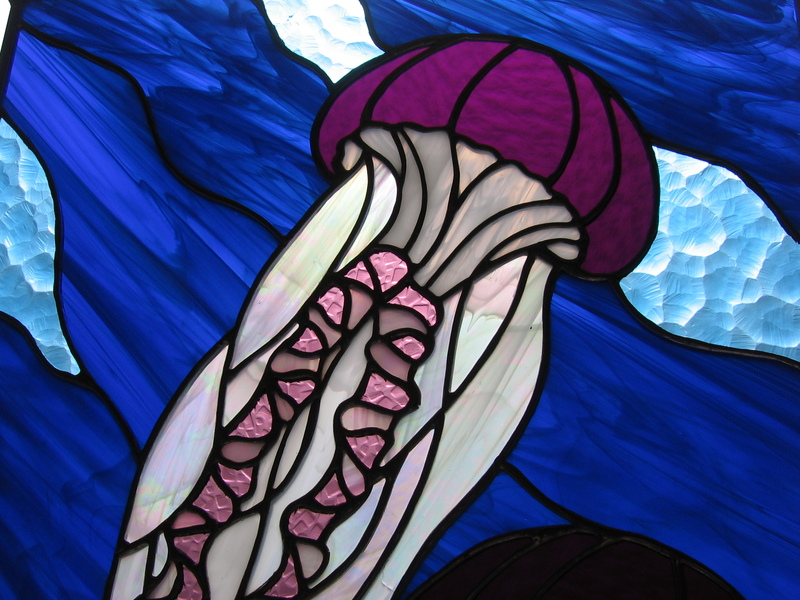 I love the magenta glass, but it must have direct sunlight to release its lovely color. I might end up doing a single jelly and go back to my original plan of using the irridescent pink for the cap. or perhaps orange. Either way, i love how it turned out. I hope you do too. 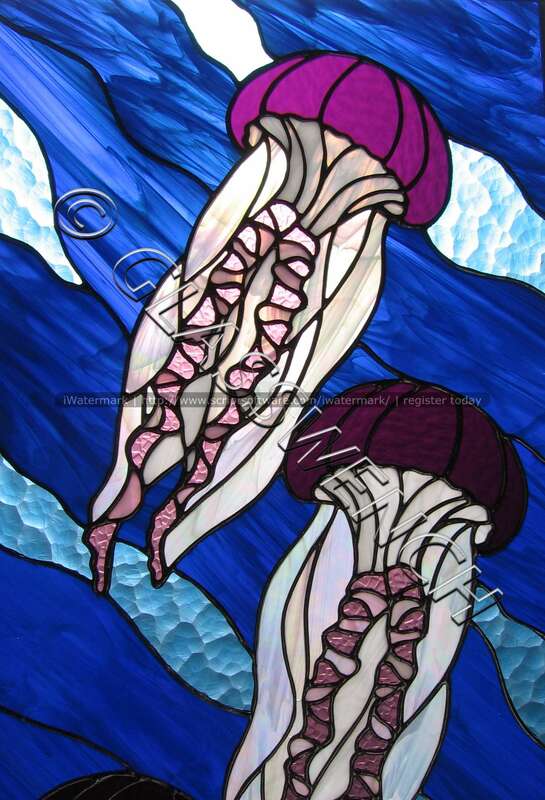 As an update, Jellies was returned to me in time for the Artwalk 2011, that year. 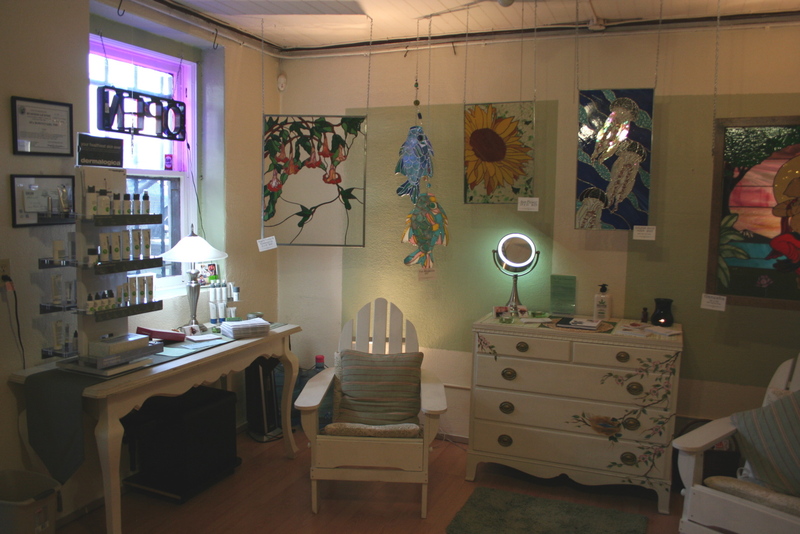 It was a huge hit, and I am so grateful that I was able to hang it with the rest. 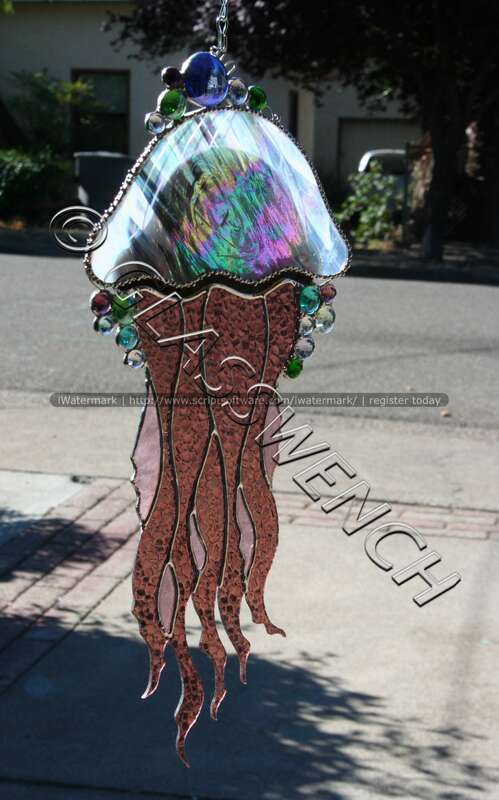 The Jellyfish design is just stunning. Hope you are continuing your work. thank you very much. yes, I am still doing glass. currently teaching a class, in fact. Thanks for looking. Love this piece, is it your own design, or did you find a pattern for it. I have a friend who would love to make it for me :-).